Tuborg will have new color caps and new emotions to emphasize, due to its new concept. The consumers will feel how history merges into the present; all that Tuborg was and will be, along with them, sharing the experiences that unites everyone in a single voice, stimulating the ‘social drummers’ to inspire further generations to go beyond their comfort zone. The words we choose give us a voice. Words aren’t just strings of alphabets, they can turn into a voice, and make it clear and strong. Words are cues. What are friends for? To give the good vibe. They unite in a single voice. This is the Tuborg generation. 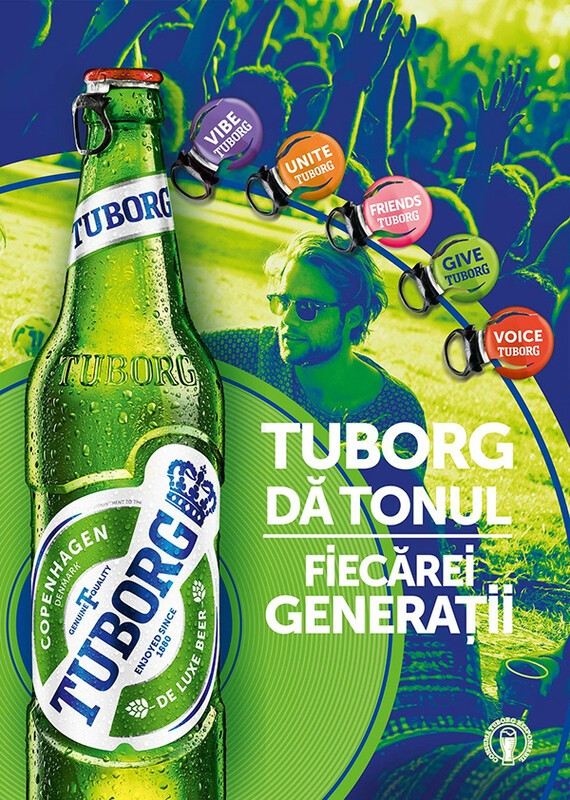 Tuborg sets the tone to every generation! Every generation has its own voice. We are passing through time with Tuborg...making new friends. The differences unite us...and together we vibrate! With Tuborg, we give words power.